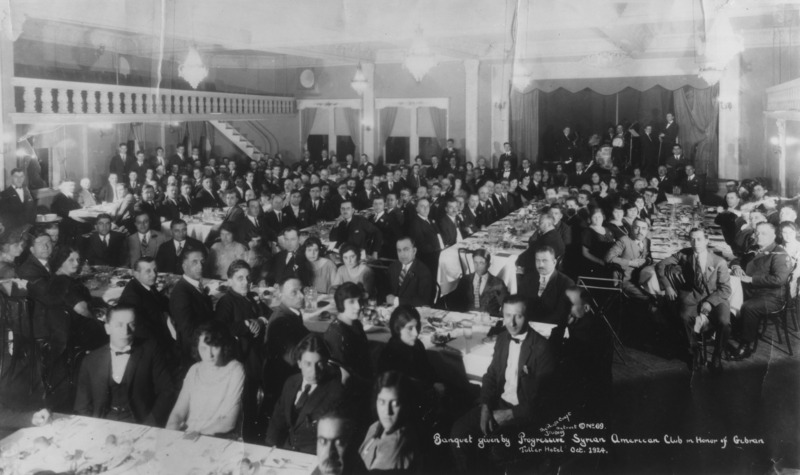 "The Photo Craft Studios photo taken in October 1924 captures an event hosted by the Progressive Syrian American Club; the evening was held to honor Gibran for his community and literary work. 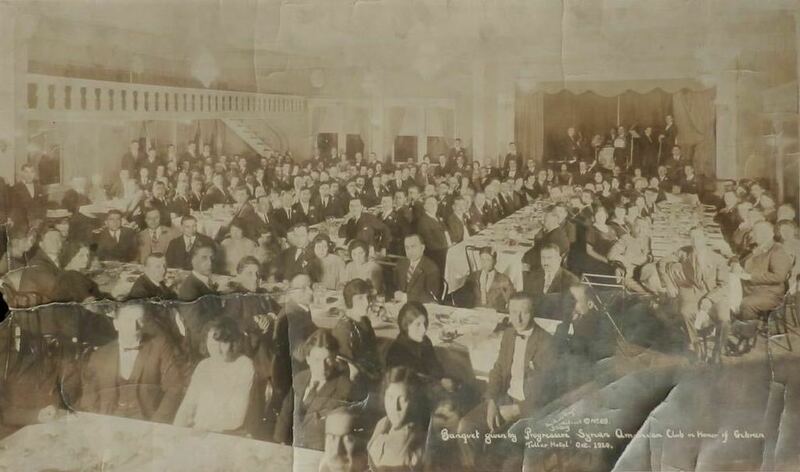 Men and women can be seen seated at several banquet tables in a large room at the Hotel Tuller, there is a small band on stage at the far end of the room and Gibran is seated just left of the stage. 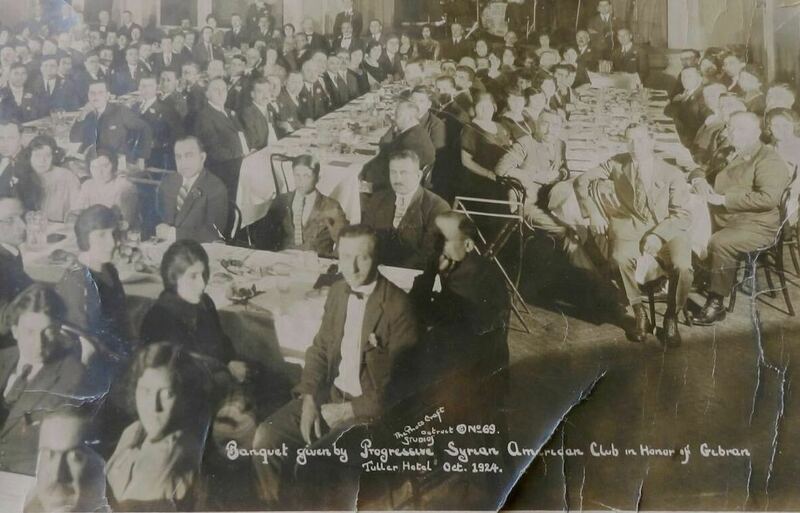 I'm happy to announce that a rare large size copy 11"(27.94cm) x 19" (48.26cm) of the said photograph was recently purchased and will now make up part of my personal collection. In need of some restorations, I hope to reproduce it to its former glory and exhibit this along with many other rare items. The Letters of Kahlil Gibran and Mary Haskell, cit., pp. 655 and 658 (cf. 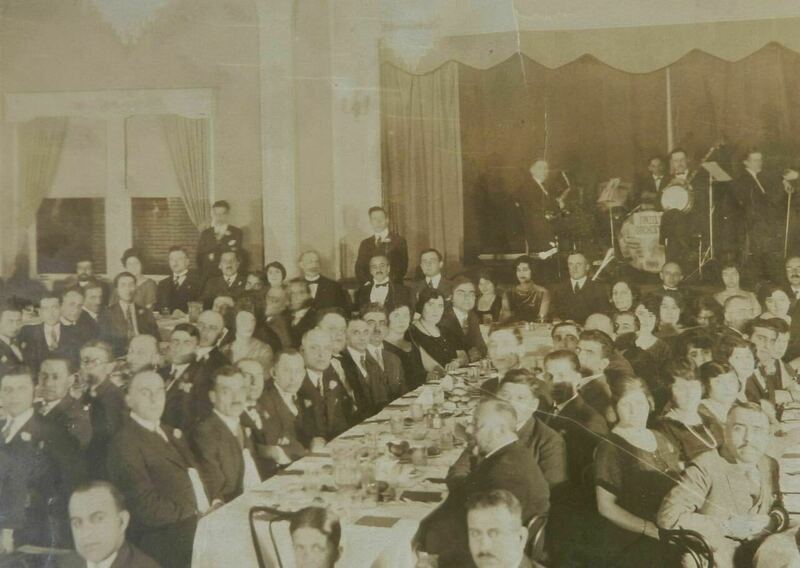 respectively Oct. 16, 1924; Oct. 21, 1924).